Earlier this year, Decatur was named the top place to live in Georgia by rankings website Niche. It comes as no surprise. The city offers a quality of life so outstanding, it’s unparalleled anywhere in the Peach State. Are you planning on relocating soon? This little primer about living in Decatur should help you plan for your move. Decatur is northeast of Atlanta, about 5 miles away from the downtown district. It functions as the county seat of DeKalb County, which is part of the much larger Metro Atlanta area. Because of its proximity to Atlanta, this popular suburb was called a bedroom community at one point in time. Today, Decatur is a thriving city in its own right, with an established history and a wide variety of amenities. Decatur is surrounded by the communities of Druid Hills, Scottdale, Avondale Estates, and Belvedere Park. There are many ways to travel in and around Decatur. 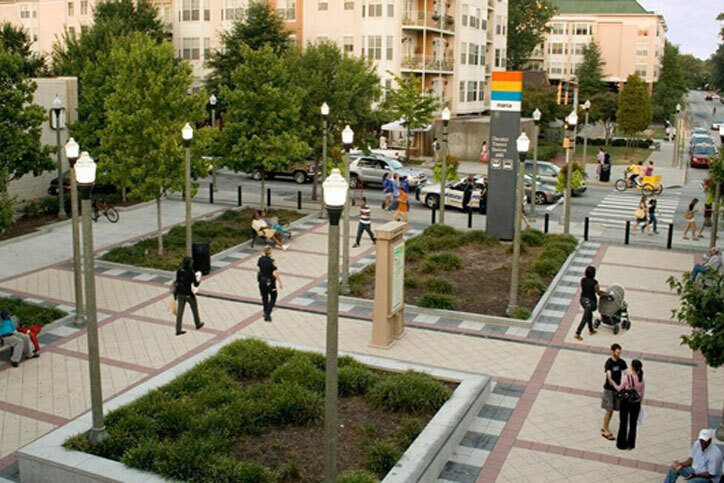 One of the most popular modes is by MARTA, which has three stations located in Decatur; one each in Avondale, East Lake, and Downtown Decatur. Looking for major highways? Three thoroughfares make their way through the city: US 78, US 278, and SR 155. If you love driving around, parking need not be an issue. Decatur has ample parking spaces scattered throughout the city. But if you want a cleaner and greener mode of transportation, you’ll be pleased to know that Decatur is a pedestrian- and bicycle-friendly community. Students and professionals working at Emory University can take the Clifton Corridor Shuttle, which offers free transportation from Downtown Decatur to the university campus. Another notable shuttle program is the GO60+ Shuttle, which only runs on Wednesdays from 10:00 AM to 2:00 PM. This service is only for senior residents (age 60 and above) living in Oakhurst. Learn more about this program here. Decatur is widely acknowledged as having one, if not the, best school districts in all of Georgia. In fact, Decatur City Schools has proven itself to be one of the highest performing districts in the Peach State. In addition to public elementary, middle, and high schools of sterling reputation, Decatur is also home to several college and university campuses. Perimeter College, a campus of Georgia State, and Agnes Scott College are two of these institutions. And right at Decatur’s doorstep is one of the leading research universities in the world: Emory University. To learn more about Decatur and homes for sale in Decatur, GA, do check out our community guide here. You can also reach me through this form so you can start exploring Atlanta, GA real estate. Find property listings here.